The most active and hostile of the other participants in this thread was the fourth defendant, Mr Jones. In the science/religion debate, he is unequivocally in the camp of the scientific atheists. The great majority of the words complained of in this action were written by him, in the form of postings on the Amazon website and on the Dawkins website (also a defendant in this action). 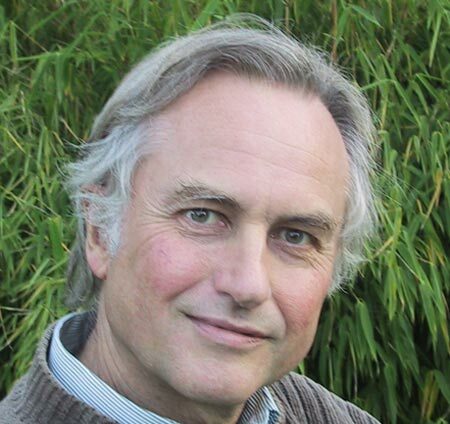 The Dawkins association website’s rule is that no new thread can be opened on the forum without the originating posting first being read and approved for publication by one of its four moderators, who included Prof. Dawkins . Once the thread has been opened in this way, the moderators play no further part, and any later responses will be published without their intervention or approval. After C threatened legal action for his comments on Amazon, Mr Jones submitted an originating article on the Dawkins website entitled “Dare to criticise a creationist? Be prepared to be sued…” in which he gave his version of his ongoing exchange with C/Scrooby on the Amazon website. There followed a discussion thread on how best to deal with C.
Responsibility for Publication. Mr Jones is of course the author of most of the words complained of and does not dispute his responsibility for his words. The other Defendants, as website operators, do dispute their responsibility, Prof Dawkins and his UK Foundation on factual grounds, and Amazon on the basis of the statutory defences provided by s. 1 of the Defamation Act 1996 and reg. 19 Electronic Commerce Regulations 2002 (SI 2002/2013). Defamatory Meaning. HHJ Moloney was asked to rule on whether and to what extent the words complained of against them are capable of bearing the meanings attributed to them by the claimants or any and if so what meaning defamatory of them. Damage. Objection is taken on legal grounds to the pleaded claims for aggravated and exemplary damages, and more generally to the claimants’ apparent attempt to bring in a wider claim for commercial losses from a separate business venture. Abuse of Process. I.e., whether so much of the claim as may survive the above objections is “a game worth the candle” in comparison with the cost and court time likely to be expended in determining it. The defendants pointed to the fact that the disputed material appeared on the US website, affiliated to the UK one. It is true that the established UK legal doctrine is that an internet libel is treated as having been published where it is downloaded and read, so that for example the American publisher of an American website is subject to the English court’s libel jurisdiction insofar as people here access it. However, this does not mean that the English associates of that American publisher are also liable (unless of course they played a sufficient part in the particular publication complained of). The US and the UK websites remain distinct bodies, and provided the tortious act is clearly attributable to Company A and not Company B, B will not be liable even if the man who committed that act on A’s behalf (and may well be personally liable for it) is also the guiding mind of B. Nor does a hyperlink joining the two websites render the operator of the linking website liable for the content of the linked site. On the other hand the question is a fact sensitive one, and if the two sites are very closely associated, the presence of such a link may render the operator answerable. For this, and other reasons of unresolved fact, the judge refused the defendants’ claim to strike out the action. Concerning Amazon’s responsibility, the question is made more complex by its role as an “information society service” for the purposes of reg.19 of the Electronic Commerce Regulations 2002, SI 2002/2013 (in turn based on an EU directive), and whether it was an “innocent disseminator” for the purposes of Section 1 of the 1996 Defamation Act. To avail itself of the latter defence, Amazon had to show that it took “reasonable care” to ensure that the publication posted on its site was not defamatory. The problem on an interim strike-out application such as this is that questions of reasonableness are generally fact-sensitive and will vary from case to case. Nevertheless, the judge concluded that the reg. 19 defence was bound to succeed in respect of Amazon’s liability for all the publications complained of against it, and therefore struck out the claim against it. a. While the website operator is prima facie liable for all the contents of the thread, individual contributors are of course liable only for their own words. b. Those individual contributions must be read in the context of the earlier contributions, which may affect the meaning of the latest one. c. As later contributors add further comments, the context of the thread as a whole will change. This will affect the meaning of the whole thread, for which the operator is liable; but an individual contributor cannot be held liable for a change in the meaning of his contribution, brought about by the later contributions of third parties which alter its context. d. Strictly speaking, whenever a new contribution was added, the thread would become a new publication with a different meaning. In the case of a thread with more than a few entries, it would rapidly become impracticable for a judge, let alone a jury, to ascribe a separate defamatory meaning at each point, and then apply it to such meaning-dependent issues as justification. e. The only practicable course here is to adopt the general approach of treating the final thread as a single publication for context and meaning purposes (albeit with several authors of distinct parts), while carefully avoiding the injustice of holding an individual contributor liable for any material changes in the meaning of his contribution brought about by later contributions from others. The judge found some of the statements in the discussion threads on Amazon and the Dawkins website to be capable of bearing a defamatory meaning, but struck most of the allegations out. The principles relating to strike out for abuse in libel cases were first set out in Jameel v. Dow Jones  QB 946, CA. If it can be shown that there has been no real and substantial tort in this jurisdiction, and/or that the claimant has no prospect of obtaining any damages or other valuable relief proportionate to the resources likely to be expended on the trial, then the action may be struck out as an abuse of process. This is however a jurisdiction to be exercised with the greatest caution, since if misused it would deprive the Claimant of both his Article 6 right to a fair trial and his Article 8 right to protection of his reputation. e. in the light of all the above, the limited remedies which the Claimants may expect by contrast with the considerable anticipated costs of trial. C did seek to promote sales of his own book by means of false reviews, purporting to be the favourable reaction of real independent readers when in fact he had written them himself. He did seek to take advantage of the reputation of Prof Hawking (a disabled man) to promote his own book, by inserting a puff for his book into the Amazon site for the Hawking book under the false guise of a review of that book. He did participate in the online Amazon debates using false identities purporting to be real people agreeing with and defending him, when in fact they were just his aliases. The book is published by his own company, which is a very small business that has only published his book and has no independent premises of its own. So, the judge concluded that the respective defendants answerable for that meaning were overwhelmingly likely to succeed in defending it on the basis of justification and/or fair comment/honest opinion. Even if such defences should not succeed completely in respect of one or more of those allegations, the effect of the admitted facts and matters listed above would be to reduce the damages recoverable for them, probably to a very low or even nominal level. The above considerations led to the conclusion that if C recovered any damages they would be minimal by comparison with the very substantial costs of bringing the action to trial. Most of the claims were therefore struck on Jameel abuse of process grounds, except for a small part of a continuing claim against Mr Jones himself, for injunctive relief. Taking a hatchet to the hackers – which way press freedom? I am pleased to learn that all aspects of this case have been resolved. Perhaps this may mark a turning point in the ridulous efforts of self-ascribed religious “victims” trying to use the courts to make unwarranted claims for special or privileged treatment. Mind you, I will not hold my breath waiting for confirmation that this is now the case! A more than fair and accurate comment on the libel case. However, the case has finally been settled. I offered the undertakings and therefore no case for injunctive relief will go ahead. What a pathetic individual the claimant – C – is. This is typical of all the recent spate of court cases by allegedly aggrieved and self-important religionists trying to create the impression that they are “victims” of secularist or atheist “persecution”. They all invariably fail. The individual litigants concerned are either badly deluded or are pursuing another agenda known only to themselves. There still remains the outstanding injunctive claim against Mr Jones to be resolved. I would be interested to know how that case turns out in due course.